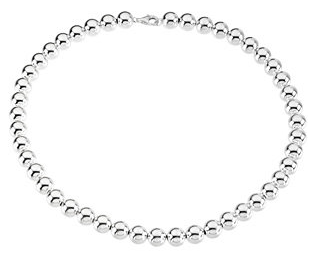 This rolo chain is very popular and tres chic! Not only is it sturdy and universal, it looks great with birthstone discs, loops, and tall tags. 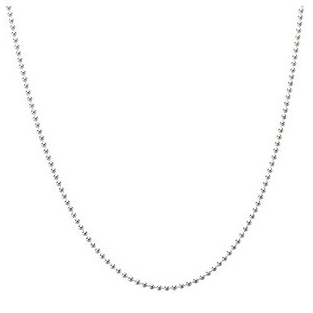 Is available as an adjustable too, 16-22"
This style of chain is more casual and modern. 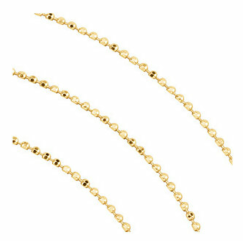 The linked "beads" are small and delicate with a stylish appearance. It looks great with mini dog tags, discs, and squares! The 14K diamond cut ball is dainty yet strong. The sparkle of the diamond cut is very popular and look fab with every pendant. Our standard gold chain is a laser titan with lobster claw. It's delicate and super strong. If you like a fine classic chain, this is it! Our bead bracelet is a total fashion statement. Chunky, hip and hot... Pair it with a cable bracelet or wear alone and you will get tons of compliments. We call it our toggle even though it has a lobster clasp... It's chunky and fun and our most popular bracelet. 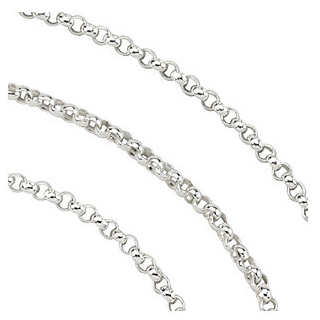 We love it with ROXY or XL disc, but the possibilities are endless with this bracelet. 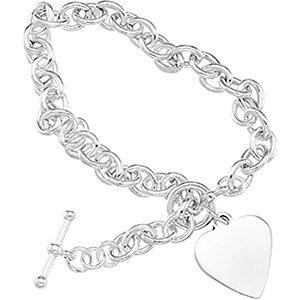 This sweet cable bracelet is a mini version of our mommy bracelet with an actul toggle. More dainty for your little one, she will want to wear it everyday. Add the sweetheart or a disc, LOVE IT!